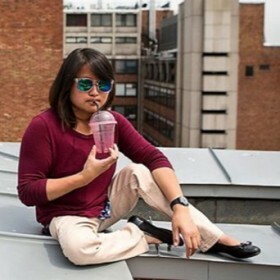 “After our son Paolo was born, we knew we would want more children,” Heidi remembers. She and her husband, Noah, were eager to expand their family, but the pregnancy with Paolo in 2008 had been difficult. As Heidi considered her age, she and Noah began to consider adoption as a way to complete their family. “Unlike pregnancy, we felt we could plan our adoptions, … that we’d have control over the family we wanted to create,” they recount. In 2010, Noah and Heidi sent their application to WACAP, sharing their adoption plans with the staff. But over the next five years, those plans changed. Starting out with plans to adopt a little girl from Ethiopia, Noah and Heidi didn’t know about the orphanage in China where they’d find Matteo, the little boy they'd adopt. They couldn’t have imagined Steven, an older boy at the same orphanage, who would capture their hearts. Nor could they have expected how much the country would draw them back, just when a little girl, Kaia, needed a family. When Heidi and Noah were taking steps to adopt a little girl from Ethiopia, Matteo was living in an orphanage in China. Born in September of 2010, he’d come into in orphanage care early. Some of the bones and muscles around his abdomen hadn’t developed fully, and he was missing some ribs. The specific diagnoses listed in his file were not commonly known, however, which kept Matteo from being considered by most families. In 2011, WACAP staff visited China and met several children, including 1-year-old Matteo. 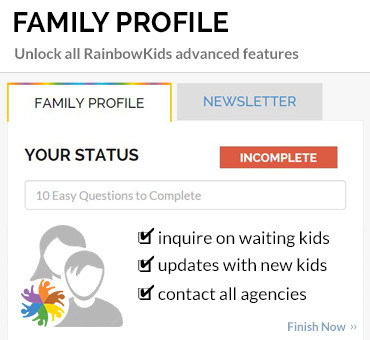 Returning with photos and details that could bring Matteo to life for families, they added his information to their Waiting Child site and email bulletins featuring waiting children. When Matteo turned 2 years old, he still needed a family. And WACAP staff was still telling his story, determined to find the family he needed. Steven grew up in the same orphanage as Matteo. He was born in 2002 with a form of dwarfism that caused his legs to develop irregularly and his body to grow slowly. As he got older, Steven increasingly hoped he’d be adopted, but there was no line of families asking to adopt older children with Steven’s condition. In 2011, when WACAP staff traveled to China and had learned about Matteo, they also met 8-year-old Steven. Staff traveled back in 2014, and were greeted again by Steven, who was 3 years older. Redoubling their advocacy efforts, WACAP staff engaged Steven’s orphanage, asking orphanage staff to ensure his file was prepared and ready to be shared with families. Shortly after that visit, WACAP was able to post an up-to-date description about the charismatic 11-year-old on their Waiting Child site. 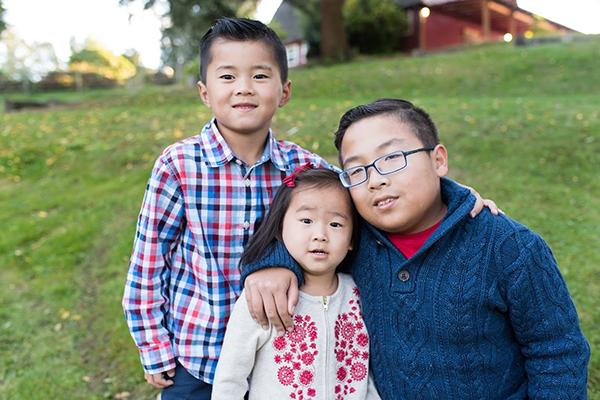 If Steven reached age 14, our staff knew, he’d no longer be eligible for adoption in his country or internationally, based on the adoption age limit China has set. Steven turned 12, still waiting, but with advocates who knew the stakes, and who believed in the family he dreamed of. Kaia was born in April 2014 with spina bifida occulta (a condition affecting vertebrae development). Like Matteo, she entered orphanage care early and at critical stage of early childhood development. 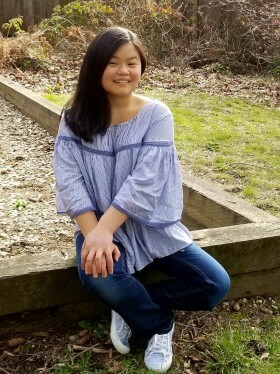 Kaia had difficulty keeping up with her peers in the orphanage, and she struggled with gross motor skills and with meeting many developmental milestones. When Chinese adoption officials added the 9-month-old girl to their listing of waiting children—a listing they share with adoption agencies—WACAP’s China adoption team recognized how urgently Kaia needed a family to thrive, and they requested her file be held while they reached out to a family ready to meet her needs. Kaia would spend another 10 months in the orphanage because of paperwork, processes and travel time. 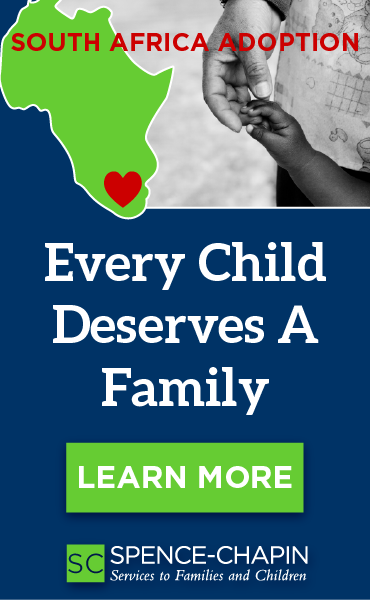 At 17 months old, the age she’d leave her orphanage, she was having difficulty walking, spatial awareness was a continued challenge, and more than ever, she needed a family’s stability, motivation and love. 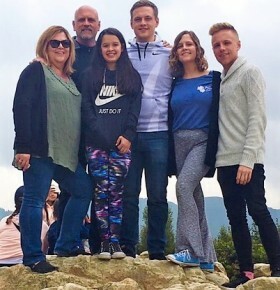 Undisputedly, each one of these children needed advocates and a parent’s love, but the route to Matteo, Steven, and Kaia didn’t match what Heidi and Noah had planned. 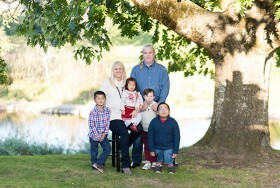 They’d hoped to adopt two children: first, a girl, and after that, a boy. 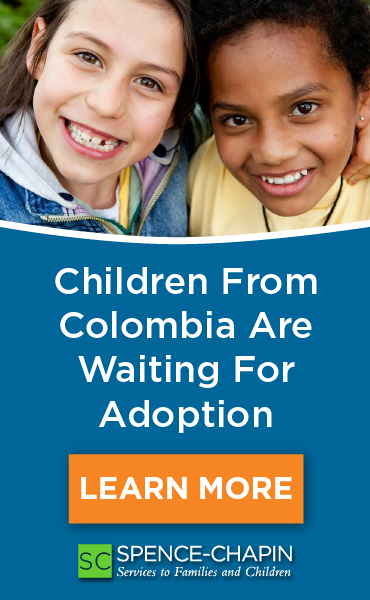 They hadn’t thought about adopting a teen. 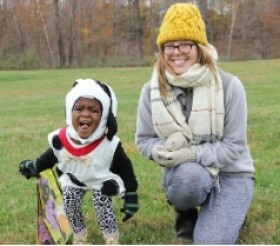 “We thought our daughter was going to come from Ethiopia; that was our plan,” Heidi adds. 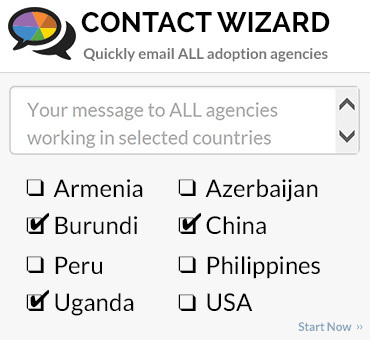 The adoption process in Ethiopia was experiencing delays, however, and it further slowed as the country delved into a review and revamp of its adoption laws and processes. WACAP staff stayed in regular contact with news about Ethiopia, and they talked with Noah and Heidi about the path ahead, and their options. For over two years, they were steadfast and patient—thinking of the little girl in Ethiopia who needed them. They awaited news, and they waited. Fortunately, even with the difficult wait, Heidi and Noah remained committed to the process they started, and to the children who’d one day become part of their family; and they became open to a change in course. With the ongoing wait in Ethiopia, the couple shifted their plans, and decided to move ahead adopting their little boy first. 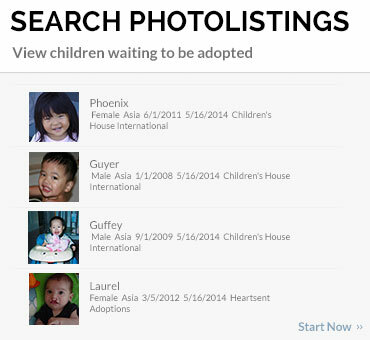 Following their hearts and feeling drawn toward China, they searched WACAP’s Waiting Child site in the fall of 2012, found the photo and profile of Matteo that had added the year before, and reached out to start the adoption process. By the spring of 2013, Matteo was home—2 years old, going on 3, no longer waiting for a family. And the shift in plans with Matteo’s adoption paved the way to Steven and Kaia. 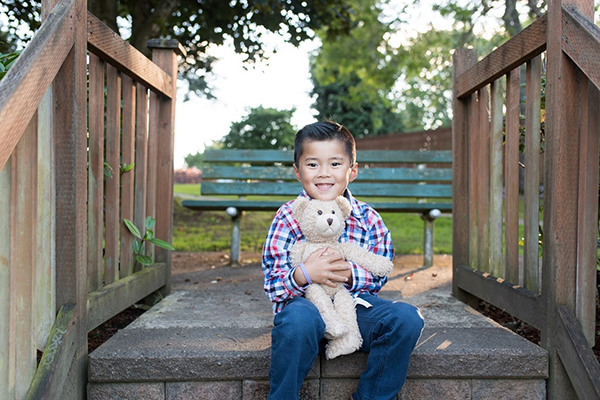 The couple still wanted a daughter, but when they adopted Matteo, they’d also met Steven. “He really touched our hearts …, and we knew he was meant to be our son,” Heidi and Noah recall. With the orphanage updating Steven’s file after WACAP’s 2014 visit, Heidi and Noah were able to learn more about Steven’s diagnosis, and begin the process to adopt him. “We never thought we'd adopt an older child, but we are so glad we listened,” his parents say. Heidi and Noah learned about Kaia in January of 2015. 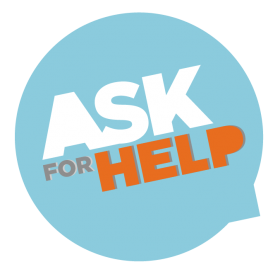 WACAP staff contacted them about the little girl, whom China’s adoption officials had added to a listing of waiting children, and shared about her needs. 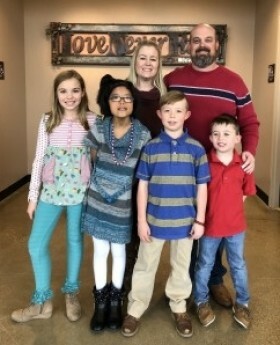 Though the couple’s wait to adopt their daughter began nearly five years before, and had started with a different country, they marveled at the turn of events that led them to Kaia, and to each of their children. Listening, laughing and learning to let things go (or when to change course) are a few staples that help everyone through the days, and the family learning curves. With two parents, and four kids at home, Heidi is the first to admit, “Family is not perfect, it's a bit chaotic at times, it's messy.” But she’s quick to add, “No matter what, we are here for each other.” From the beginning, that’s made all the difference. Matteo, now 6, is starting kindergarten and loves it. He is missing a couple ribs, but that doesn’t slow him down. 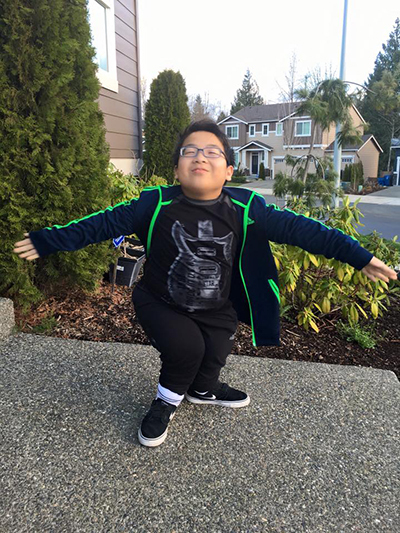 “He's always moving his body a mile a minute,” his mom says of the talkative, fun-loving boy who energizes his family. Steven, a 14-year-old, makes his parents proud every day with his honesty and his dedication. While the family was worried about the language barrier they may have, Steven’s resolve to learn English quickly helped bridge that gap. He has applied that same discipline in school, which he enjoys. Earning straight A’s, he is graded at the same level as his peers, and in November, was awarded “Student of the Month.” Steven’s openness about wanting a family has helped to build a bond of trust between him and his parents, which gets stronger by the day. To support Steven, whose legs developed atypically, his family is working with his surgeons on a treatment plan. They’ve learned that Steven does not have the degenerative diagnosis his file indicated when they adopted him, which is something they’re all celebrating, along with Steven’s many successes in adapting to his environment and making friends. Steven has been an inspiration to his family, and continues to be.